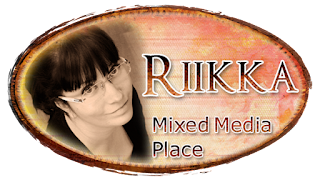 Riikka's ATC's are always catching my attention. Full of colour, detail and the story behind it. This time was no different. Fabulous colours of blues, teals and greens, scenry with magical seaside view. Absolutely stunning, can you hear the sea ? These ATCs got their theme and name almost when they were done. 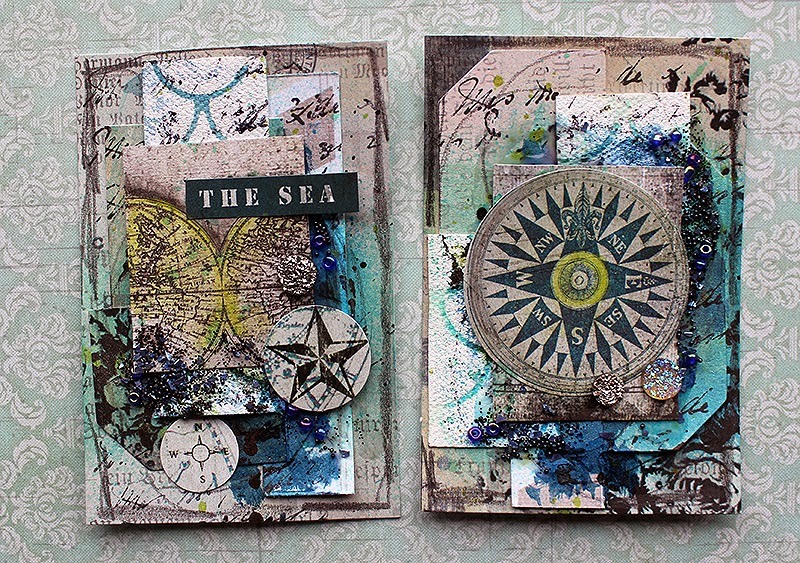 I was playing with the “Destination Unknown” collection from 7 Dots Studio and made a series of ATCs with that. As the final phase I added the sticker “You, Me & The Sea” cut in three of the cards and then realised that the cards could refer to our family. My husband is the lighthouse, guiding us through the storm and the calm. I myself am the seahorse, a little odd looking thing. Our younger one is the sea – stormy at one point, calm at one. And our older daughter is the compass, steadily pointing to her way. 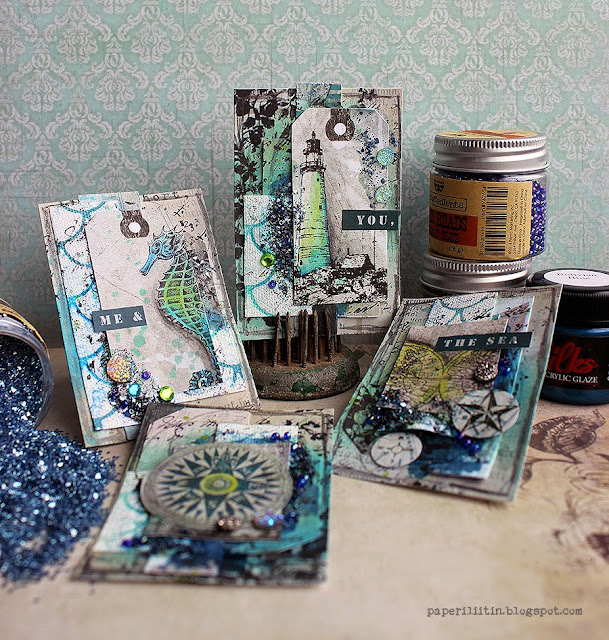 I used tags as the basis for the ATCs and then layered some paper and canvas layers on top. The cards got some shimmer from Glimmer Mist as well as Glass Glitter and Glass Beads. The final touches of color are done with watercolor pencils. Ahhhhh Riikka - these are WONDERFUL. I love that each one represents a member of your family and your descriptions of each are precious. HOW VERY VERY SPECIAL. And all the detail is amazing as well as the great colors. WONDERFUL CREATIVITY..... Wow. j. Thank you for sharing your lovely work. Love your colors and the way you combined layers and embellishment. Lovely work. 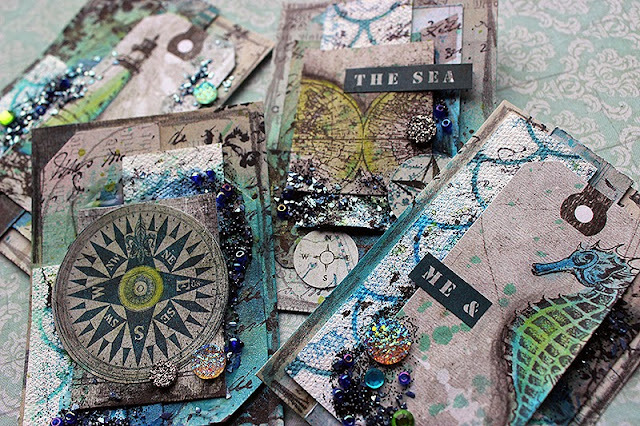 As always, Riikka - these are most gorgeous! 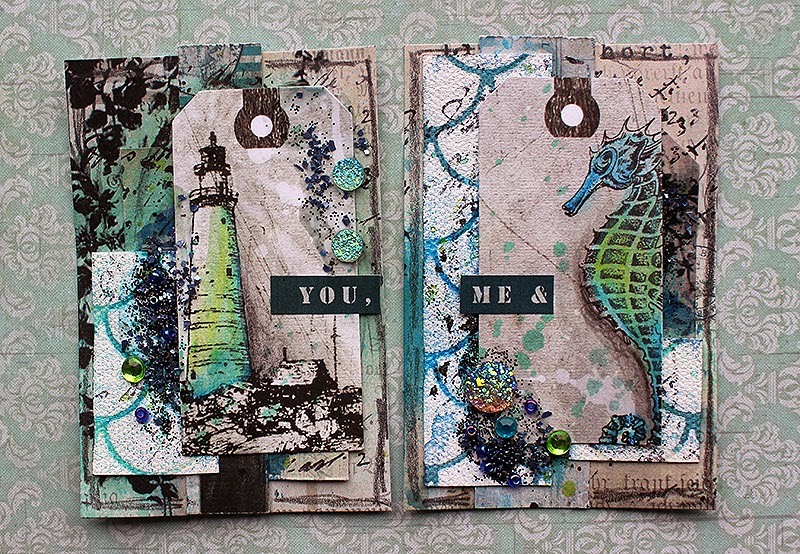 My fav is the seahorse - they are amazing little creatures! I love what you have done and what it signifies for you family - so inspiring and cool! I have a question and I feel stupid asking this, but I see ATC everywhere but I have no idea what it means. Can you please tell me what ATC means?